Two suspects have been arrested for allegedly carjacking an 88-year-old woman. The victim was shopping at Walmart on Middlebelt and Plymouth on Tuesday, police say. Two suspects approached her while she was at her car. The male suspect, a 38-year-old Sterling Heights man, walked up to the victim from behind and grabbed her purse. 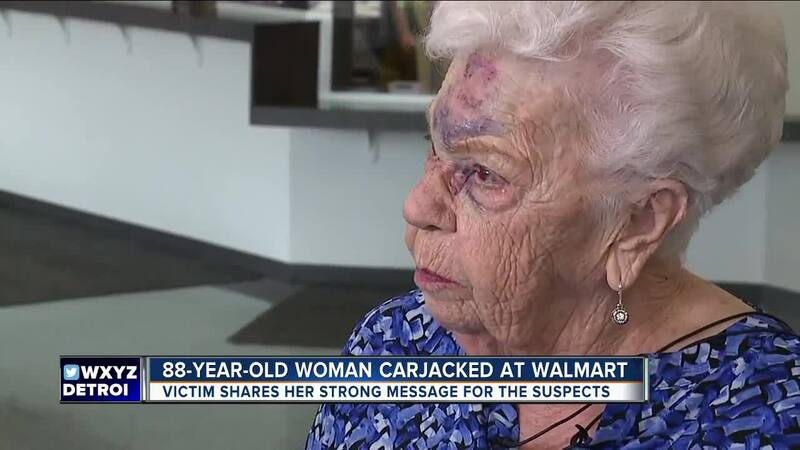 The 88-year-old woman struggled to keep her purse and tried to beat the man with her cane. 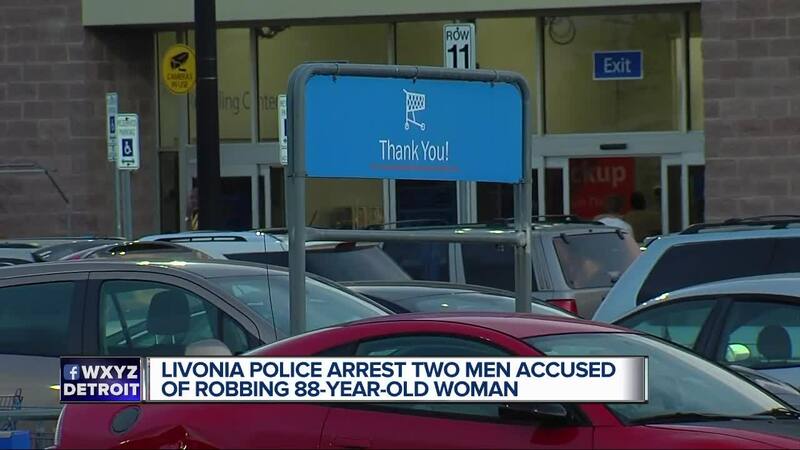 LIVONIA, Mich. - Two suspects have been arrested for allegedly carjacking an 88-year-old woman in Livonia, Mich. The victim was shopping at a Walmart on Tuesday, police say. Two suspects approached her while she was at her car. The male suspect, a 38-year-old Sterling Heights, Mich. man, walked up to the victim from behind and grabbed her purse. The 88-year-old woman struggled to keep her purse and tried to beat the man with her cane. “I tried to turn around and smack him with my cane because I always said if anybody bothered me I’d use my cane,” said Gloria Kevelighan. Police say the male suspect punched the victim in the head, threw her to the ground and got into her vehicle. The man's accomplice, a 41-year-old Lincoln Park woman, jumped into the passenger side and the pair sped off, nearly running over the victim who was still on the ground. Officers say the suspects left evidence behind that helped police track them down and take them into custody. The following day, Kevelighan said she was achy and sore from the encounter. Her purse and car have since been recovered, according to Livonia officers.